Does anyone know of a source for a SS beavertail drop in (i.e., not milling or inletting required) for a mid-80s (S/N A254XX) AMT Government Model? 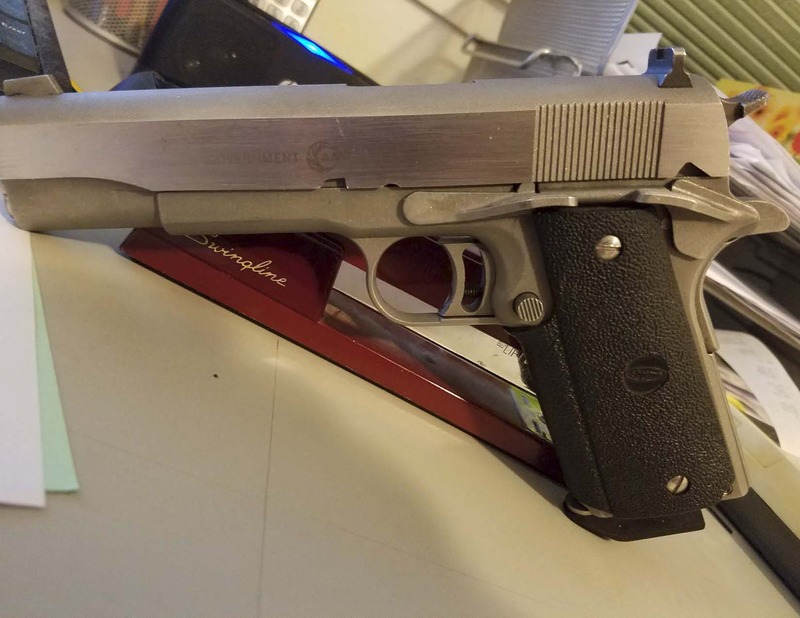 Nothing fancy (e.g., Wilson Combat Custom Shop), just functional. I've tried EGW.com, but their beavertails all require quite a bit of grinding on the gun itself. However, "back in the day" Armand Swenson (and likely others) made some safeties with extended tabs on the top, extending back under the hammer, that did the same basic job as a beavertail in preventing hammer bite. Those were drop-ins, as much as 1911 parts ever are. As far as I know nobody makes such a thing any more, but you could mill or grind to narrow an ordinary beavertail at the top so it would work the same. If you decide to go with a conventional beavertail Midway and Brownell sell a file fixture that you attach to the back of the frame; it uses two hardened buttons to guide a file. It's a quick job to remove the necessary metal with a file. This is from Brownells for a Wilson Combat "drop-in" beavertail grip safety. I hope this helps. That's the only one I know of. Have one on a Combat Elite as I didn't want to cut the frame. 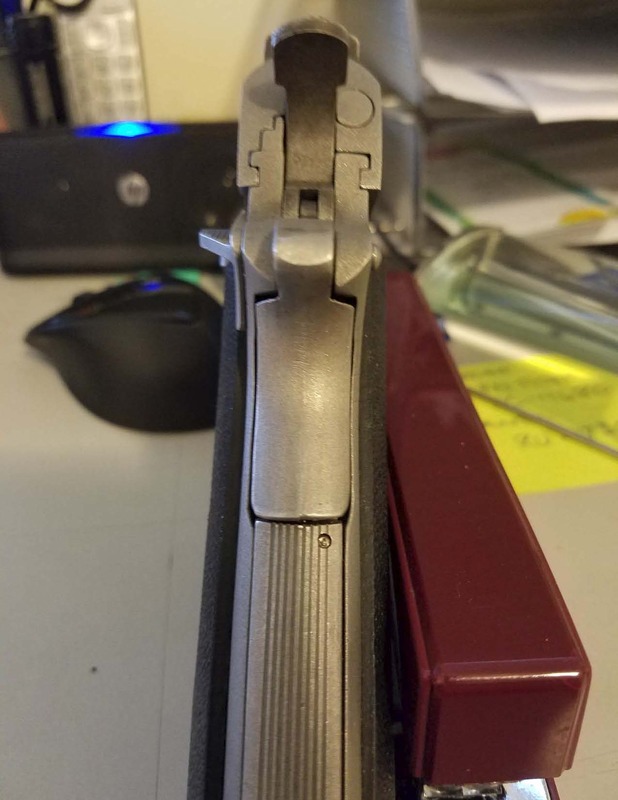 I like the Ed Brown one that you cut the frame myself, for a shooter, but for this one gun I wanted to shoot a little more, I bought the drop in, and yes, it will most likely require fitting, just fit by filing on the safety, not the frame if necessary. And you will need the commander hammer. I just bought a strut and pin too, and then put the original hammer with strut, pin, and grip safety in a bag for safe keeping. Now where did I put that???? Oh, and it doesn't give you the same high grip, but helps with hammer bite.